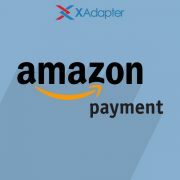 If you are downloading the Magento plugin after purchasing it from XAdapter shop, Download procedure will be similar to this article (Refer Chapter 1). This article gives you step-by-step instructions to install Magento 2.0 third party shipping extension. 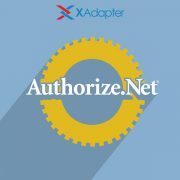 Get the folder containing the extension from your seller. Move to app folder from Magento root. Create a folder code inside app. Copy the folder you got from your seller into the code folder. Login to your SSH. Navigate to bin folder from Magento root. In the terminal, Run ./magento module:status . 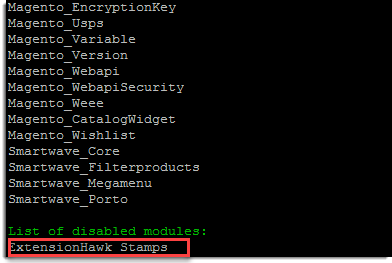 You can see the extension under the list of disabled modules. Run ./magento module:enable module_name to enable the extension. 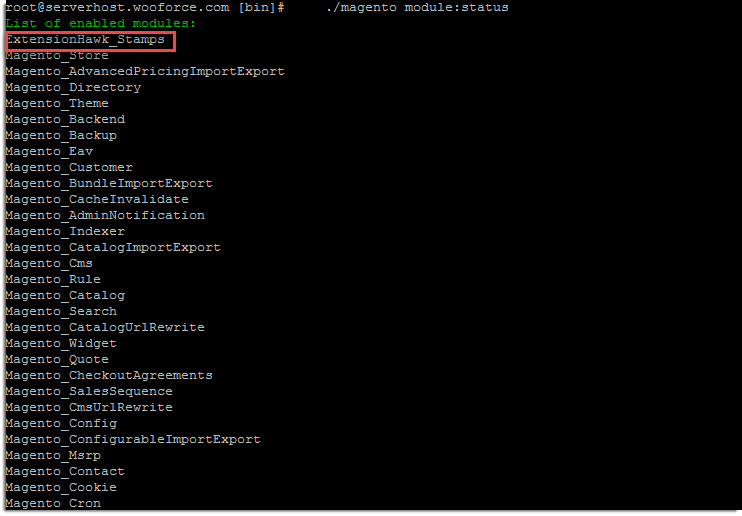 Run./magento module:statusto see the extension listed under enabled modules. Run ./magento setup:upgrade to upgrade the extension. After this, Login as Magento admin and navigate to Stores > Configuration > Sales > Shipping Methods. There you can find newly installed Magento 2.0 extension. Commonly used helpful UNIX commands. To Know your current working directory use pwd. To Know contents of your current working directory use ls. If your terminal is not pointing to root directory by default. You may need to append php before your Magento command to get executed. Use this if default execution is not working. In some cases you may need to manually change your var and pub folder accessibility after running setup:upgrade. In such cases run chmod -R 777 var pub from Magento root folder. Your post helped me a lot while installing extension, but before this i was installing magento using local host, https://www.cloudways.com/blog/how-to-install-magento-2-on-localhost/, this post helped me a lot and after installation. Your post helped me to install extensions and i downloaded slider revolution. We will check it and update our article soon. I would like to know if I will be able to set a discount rate on DHL shipping with your WooCommerce DHL plugin? How to set up Address Validation & Google Address Auto Complete Plugin for WooCommerce? How do I cancel a shipment once it’s been initiated?